At 10.30am, 70 soldiers fresh from jungle training arrived for one day off at Pedroâs Inn. Soldiers have been using a camp on the mainland (by Caracol Mayan Ruins) for years to train for potential jungle warfare and survival. Recently, there have been some severe cutbacks and these guys informed me that they are the last group coming to Belize for this program. Sad. When I first came to the island 5 years ago, we used to meet soldiers from all over the world. My first summer, I met guys from Austria to Taiwan to America. But the British were the most numerous, most boisterous and most ridiculous. And most mosquito bit. They love the âStuntmanâ shot (tequila with salt snorted and lime squeezed in eyes), dressing in drag and NAKED BAR. A phrase that is shouted early and often. Full blown naked. It is quite gutsy in Belize. I guess they are embracing the âsize doesnât matterâ philosophy. âNaked barâ was called at 11.30am after the 3rd bell ring/the 3rd round of jager shots. I will do my best to clean these pictures up. These guys are not shy. (I had to do a bit of cropping on this one). Jager is plentiful at Pedroâs. Many returned later in the evening (after drinking around town and pushing some segways and jet skis to the limit) and fully embraced American classic drinking games. Beer pong and flip cup were favorites. Pedroâs pool table turns into the game center. Some guys hung out by the pool and got awful sunburns. Some guys went fishing…here is the catch of the day. The party lasted late into the night. And I donât blame them. Many of these guys are shipping off to Afghanistan in a weekâs time. BREAKING NEWS! 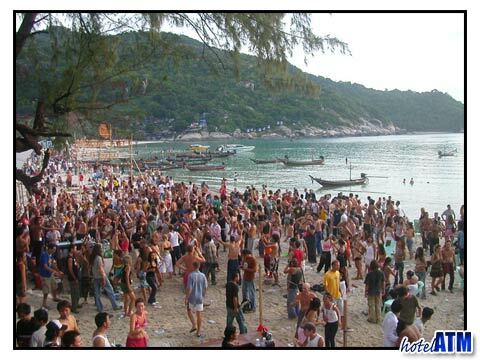 PEDROâS INN WILL BE HOSTING A FULL MOON PARTY ON FRIDAY, JULY 15th! 6.30pm. $25 means all you can eat pizza. LIVE MUSIC! Free good times. See all of you there.Here is a picture of the last one held at Pedro’s. When we were down in March we had 2High School Seniors (girls) with us and I was so glad to hear that we missed the Soldiers by a couple days. I could only imagine the parent’s response when they told them of the “full monty” party at Pedro’s.